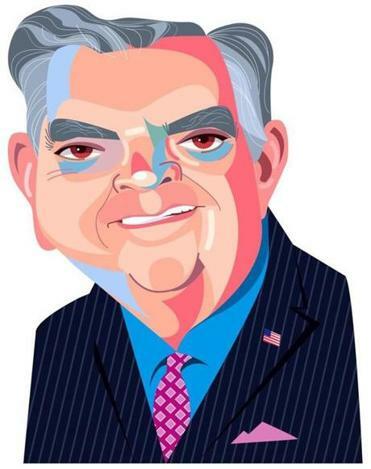 As a longtime D.C. denizen, Ray LaHood knows all about Beltway politics. Massachusetts politics? That’s another story, although he is about to get a bit of a crash course. LaHood was just tapped to lead NiSource Inc.’s new quality review board, a panel charged with overseeing the giant utility’s implementation of “safety management systems” across its seven-state footprint. LaHood will certainly draw from his experience as transportation secretary with President Barack Obama, a job that included regulation of the pipeline industry. Before joining Obama’s Cabinet, LaHood was a Republican congressman from Illinois. Now, he works as a Washington-based consultant with the law firm DLA Piper. NiSource is spearheading this systemwide safety effort after the catastrophic fires and explosions in the Merrimack Valley last September, along its Columbia Gas of Massachusetts pipeline system. Chief executive Joe Hamrock says the incidents, which killed one person and injured many others, are just one factor in the decision to get this effort started. Hamrock anticipates that the board of five safety experts will meet at least on a monthly basis, to help identify high-risk areas in the NiSource network. “As we step forward, we wanted to make sure . . . we’re taking the insight and lessons of others who have gone before us,” Hamrock says. LaHood says he was invited to head up the NiSource panel by a friend, NiSource chief legal officer Carrie Hightman. “She called me and explained to me what happened in Boston and asked if there was some way I could be helpful to them,” LaHood says. About his track record: In April 2011, LaHood issued a “call to action” to the pipeline industry to accelerate the repair and replacement of the country’s highest-risk pipes. That move followed two fatal pipeline explosions, one in San Bruno, Calif., in 2010, and then one in Allentown, Pa., in 2011. Restoring natural gas service in pockets of Lawrence, Andover, and North Andover was hard enough. Restoring customers’ faith in NiSource is a different challenge. The incident last year served as a moment of reckoning for an industry whose political capital in Massachusetts was already on the wane. WGBH chief executive Jon Abbott went six years without a chief marketing officer. But with the media landscape changing so quickly, Abbott decided it was time to bring one on board again. Abbott just hired Tina Cassidy away from InkHouse, the Waltham PR firm, to be his marketing chief at the public media production company in Brighton. Cassidy worked in The Boston Globe newsroom from 1988 to 2005. During the hiring process, Abbott became aware of an unusual coincidence: Cassidy had just been interviewed by a WGBH crew working on a film about the women’s suffrage movement because she wrote a book on the topic. Cassidy has been one of InkHouse’s top executives, and was responsible for launching its real estate practice. She plans to start her new job on March 25. WGBH’s last marketing chief was Jamie Parker, who left in 2013 to work with her husband, Phil Greenough, at the Greenough PR agency in Watertown. You know an issue is becoming a priority for the Legislature when it emerges as a major talking point in speeches by legislative leaders. In this case, we’re talking about congestion on Greater Boston’s roads and trains – tough problems to solve. On Friday, Senate President Karen Spilka reiterated a few points made by her counterpart in the House, Speaker Bob DeLeo, during her speech before Associated Industries of Massachusetts at the Westin hotel in Waltham. DeLeo had told the Greater Boston Chamber of Commerce that he wants the business community’s input in solving the transportation problem — or, more precisely, the transportation financing problem. Spilka made it clear transportation funding is on her mind, too. These kinds of complaints kick off many of Spilka’s morning meetings. “The first 10 to 15 minutes are gripes about how long it took to get there,” she said. Spilka lives in Ashland, a town with a commuter rail stop. But she generally drives into work at the State House, about a 25-mile trip. Those rush hour drives seem to be getting more epic in nature as the economy grows, and more people are sharing the roads.